This webinar presentation will describe the novel approach of paired tumor/germline testing for Lynch syndrome. It will review how tumor analysis of the Lynch genes can provide additional information to help explain mismatch repair deficiency identified during Lynch syndrome screening. Basics of somatic testing and case examples will be discussed. 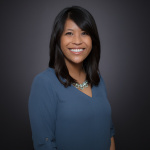 Monalyn Umali Salvador, MS, CGC received a BS in Genetics and a minor in Psychology from the University of California, Davis in 2007 and an MS in Genetic Counseling from California State University, Stanislaus in 2013. Prior to becoming a genetic counselor, she spent several years working as an assay developer in both academic and industry settings, with projects ranging from HLA genotyping to companion diagnostics for cancer therapies. She joined Ambry in 2014 as a cancer reporting genetic counselor and specializes in both somatic and hereditary oncology, with special interest in mosaicism. 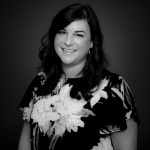 Additionally, she has been an integral part of the product and operational development of Ambry’s paired tumor/germline tests, including TumorNext-Lynch and TumorNext-HRD, and currently manages the somatic reporting team at Ambry.